There are three main components of an aquaponics system: plants, fish, and bacteria. The whole purpose of the aquaponics system is to grow plants in an environmentally sustainable way allowing for food security. The plants do not just receive all the benefits of the aquaponics system. They actually play a highly important role in maintaining the overall cycle of the aquaponics system. They act as a natural filter for the water, absorbing the nitrates, therefore detoxifying the water allowing for recirculation back to the fish. The plants remove the need to clean waste accumulated in the fish tank because they use the waste, absorbing nutrients for growth, specifically nitrates, that can be toxic to the fish. The plants sit on a grow bed, a container that holds the nitrate rich water, and floats the growth base. At ISB, we are using cement mixing containers as our grow bed. 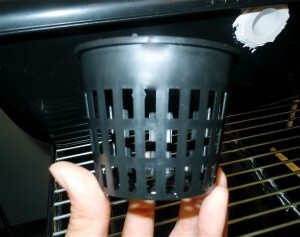 Tip: make sure the grow bed container is opaque, preferably black. A clear or translucent container creates a potential for algae growth because of the light entering the container. Opaque containers create a much lesser chance of algae growth because they block light from entering the areas they cover. A lightweight, buoyant, base is needed to hold the plants upright. 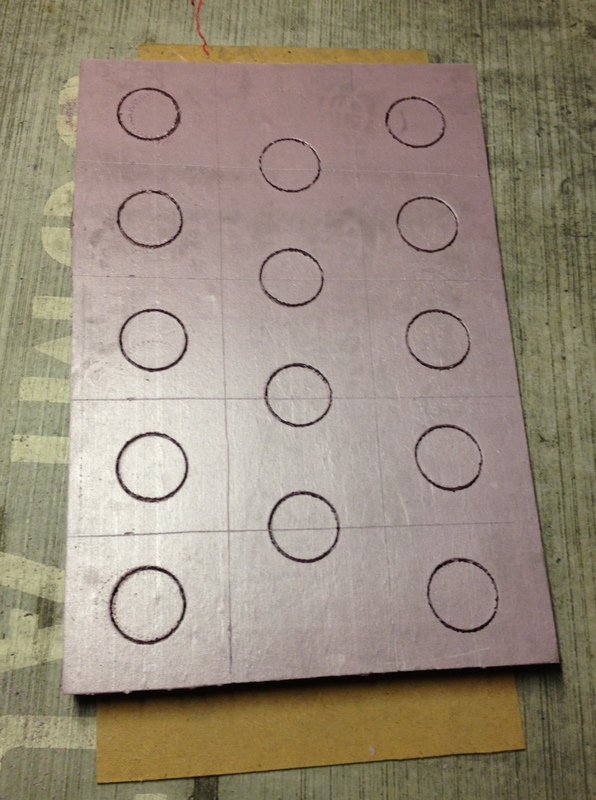 Insulation foam blocks work excellently because they are easy to cut holes in order to place the plants, and they are sturdy enough to hold their place. The grow base can be cut in order to just have room for the plants, or it can be cut to accommodate small net pots in order to allow for easier removal. 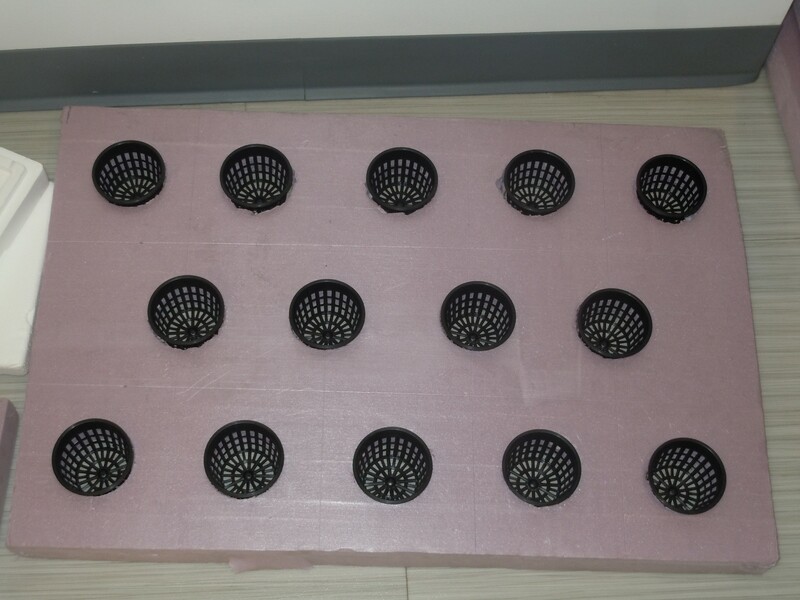 It is necessary for the pots to be net style in order to allow maximum water exposure and ample room for root growth. 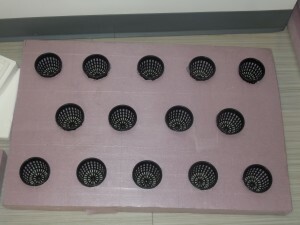 This is the aquaculture component of the aquaponics system. The excretions from the fish are what eventually provide the nutrients needed to grow the plants. For every pound of fish, about two gallons of water are needed; for every gallon of water, there can be The fish tank is the area that needs to be the most maintained, just because they are living animals, which also means that they are one of the main indicators of overall health of the system. Several factors have to be considered when selecting fish, especially because they are going to be living in a tank environment. In order to have maximum growth output, the fish needs to be able to live in high-density population conditions. Also rapid growth is optimal considering the growth of the plants is dependent on the waste excretion from the fish. The fish species also has to be able to withstand living in an enclosed space (that is, the tank). Tilapia is normally used because of these very standards. They can thrive in a tank environment, they grow rapidly, and they are a high-density living fish. Other common aquaponics fish are perch, catfish, trout, and hybrid striped bass. 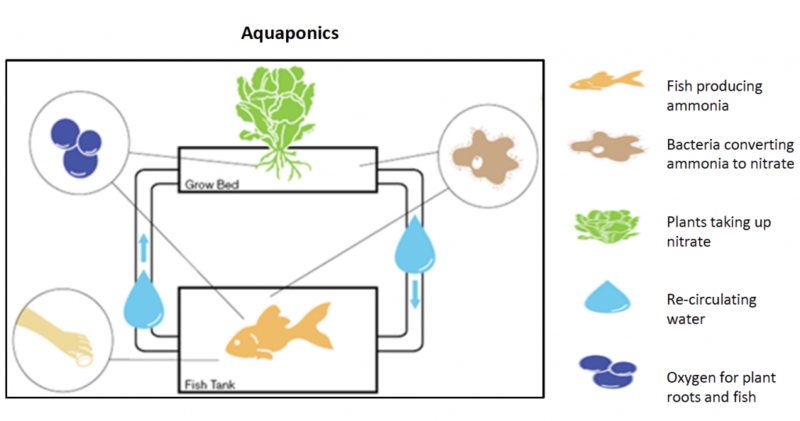 From first glance, it may seem that there are only two components of an aquaponics system: fish and plants. 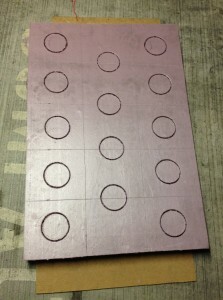 However, there is one other piece that without it, there would not be an aquaponics system. The bacteria play a highly integral part of the cycle. The bacteria are in between the fish and the plant stage. The bacteria are what transform the waste into the nutrients able to be absorbed by the plants. They do this through a process known as nitrification. Nitrification is the process in which nitrogenous organic compounds are converted into nitrites, then nitrates. The first step is the conversion of ammonia to nitrite. This is done by Nitrosomas (in soil) and Nitrosoccus (in aquatic environments). The ammonia is oxidized by these bacteria into nitrites, which then flow to the second group of bacteria. Nitrobacter (in soil) and Nitrococcus (in aquatic environments) further oxidize the nitrites into nitrates. Once converted into nitrates, the compounds are in a form that can be absorbed by the plants. These bacteria can be present in a biofilter. This is located in between the clarifier and the grow beds. It can also just be present in the grow beds and/or the fish tank. aerator: constantly aerates the water allowing for more oxygen to enter the promoting better fish health, and more rapid plant growth. pipes: pipes (usually pvc) are what transport the water in between the various stages of the cycle. lights: the lights provide the radiant energy needed for plants to photosynthesize. pump: the pump is the main electrical source that pushes the water. “Nitrification.” Environmental Encyclopedia. 4th ed. Vol. 2. Detroit: Gale, 2011. 1158. Gale Virtual Reference Library. Web. 15 July 2014. “Purdue Forestry and Natural Resources Extension.” Aquaculture and Aquatic Resources. Purdue University, n.d. Web. 15 July 2014.